Hello everyone !! Today i would like you to meet a little cutie named Construction Worker Owen…how sweet is he?? 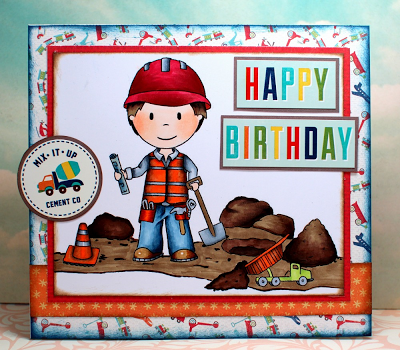 This card was done by Ilene Tell ….its so happy & fun …i LOVEEE it!